FORMUFIT 1-1/4 in. 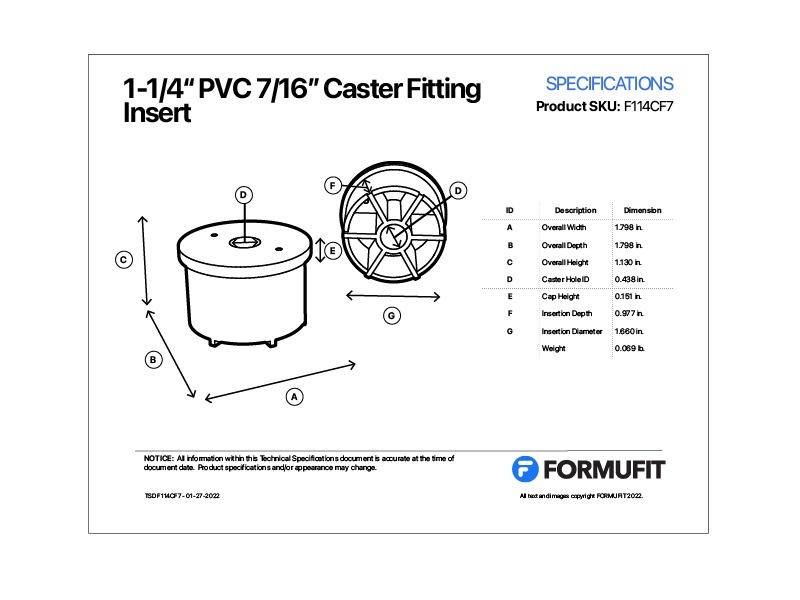 Caster Fitting Inserts easily allow you to make your PVC structure mobile. 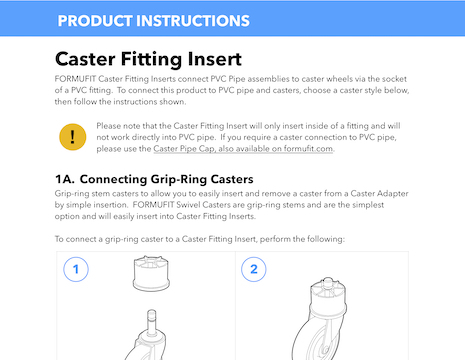 Insert or attach threaded or grip ring stem casters into the Caster Fitting Insert, then insert the Caster Fitting Inserts inside the socket of a PVC fitting. Accepts FORMUFIT Swivel Casters which simply snap into place. Impact proof and UV stabilized for outdoor use. What fitting will this fit? 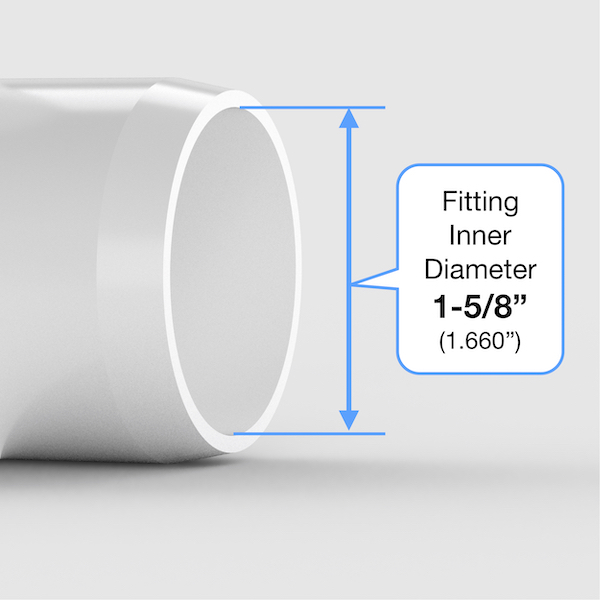 This product will fit inside of a 1-1/4" Size PVC fitting, which has an inner diameter of 1.660” (1-5/8”). See our PVC 101 section for more info. This product is designed to fit inside of a PVC fitting and is not compatible with PVC pipe.